Prime Minister David Cameron recognises Arun and Mayoor Patel for Points of Light award – 10 Downing St Website – Old Kampala Alumni Scholarship Fund. 'The story is featured on the Prime Minister’s Office 10 Downing St points of light website. "Two brothers who have changed the lives of hundreds of children living with polio, giving them the care and education they need to have an equal opportunity in life. 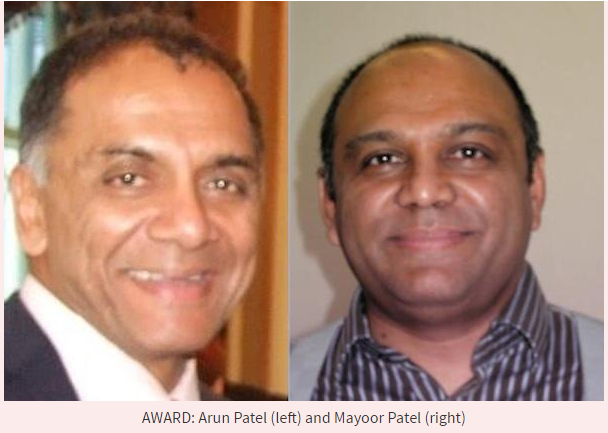 Prime Minister David Cameron said:“Arun and Mayoor Patel have seen first-hand the huge impact polio has on a child’s life and they have dedicated their lives to helping to overcome the difficulties they face. By making sure children with polio have the same chance of finishing their education as other children, and helping them to gain vocational skills, they make a huge difference in their lives. Over 1,000 children have received support and education through Polio Children, and I am delighted to recognise Arun and Mayoor as Points of Light for all that they have achieved. ”Arun said:“I am truly humbled to receive this award which I will dedicate to the hundreds and thousands of polio afflicted children who gave us an opportunity to serve them. ”Mayoor said:“It is an honour to have such a great team of trustees and ambassadors to work with at Polio Children. We are also privileged to have the support of so many sponsors and donors. They are the silent partners in this award." Prime Minister’s Office 10 Downing St points of light website.